Autographed copies are available now. Expert motorcyclist and author Ken Condon knows there is a right way to hit the road and track when you’re behind the handlebars. In this new book Motorcycling the Right Way, Condon lays out a basic riding course for motorcyclists who are smart enough to acknowledge that “you don’t know what you don’t know.” In setting forth the keys to riding safely and well, Condon’s method capitalizes on reducing risks and potential crashes and increasing the rider’s ever-improving skills and situational awareness. Filled with readable, useful advice and anecdotes from the road, Motorcycling the Right Way will be welcomed by beginners and returning riders, as well as experienced riders who are interested in learning more on the journey. ” Just finished reading Motorcycling the Right Way. You did a great job on every aspect of this book and I will be recommending / requiring it of those who want to ride with me. You can bask in a sense of accomplishment knowing that you have secured a legacy as one of the very elite few who can ride, train and also write! Congratulations and thanks!” M.M. I-5 Press, in conjunction with Motorcycle Consumer News, today announced the release of Motorcycling the Right Way, a new book by popular motorcycle author and instructor Ken Condon. Motorcycling the Right Way is an essential reference for riders of all experience levels. This book offers proven principles for accident-free riding. Condon is a renowned motorcycle author, riding instructor, public speaker and dedicated advocate of motorcycle safety. 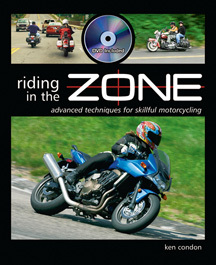 In Motorcycling the Right Way, Condon illustrates a specialized teaching method to help motorcyclists develop the physical and mental skills to ride safely, skillfully, and with confidence. 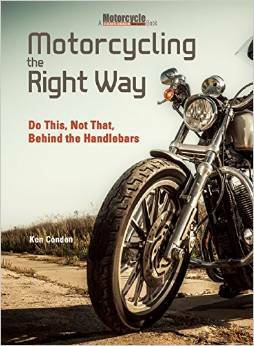 Motorcycling the Right Way by Ken Condon is now available at online booksellers and bookstores everywhere.